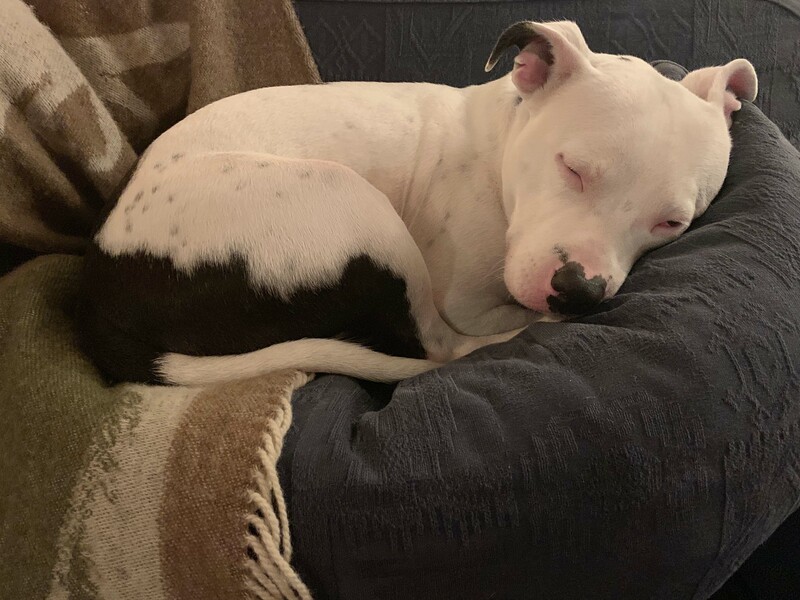 The story of Snoop the Staffordshire bull terrier began when the the animal was dumped at the roadside in Stoke-on-Trent on December 17 last year. CCTV footage of a man getting out of a car with the dog on a lead before abandoning the pet was watched millions of times after it was released by the RSPCA. The video showed the male dog then jumping up at the car’s window as the vehicle was driven off. 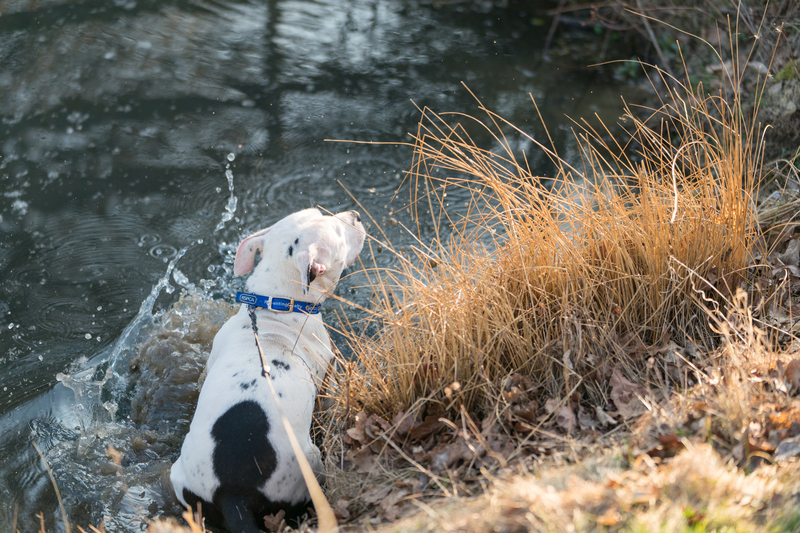 The animal’s plight went viral and thousands of potential owners – including US-based rapper Snoop Dogg – came forward offering to re-home the dog. However, Snoop now has a place to call home – in the rolling Herefordshire countryside, with new owner Laurence Squire. 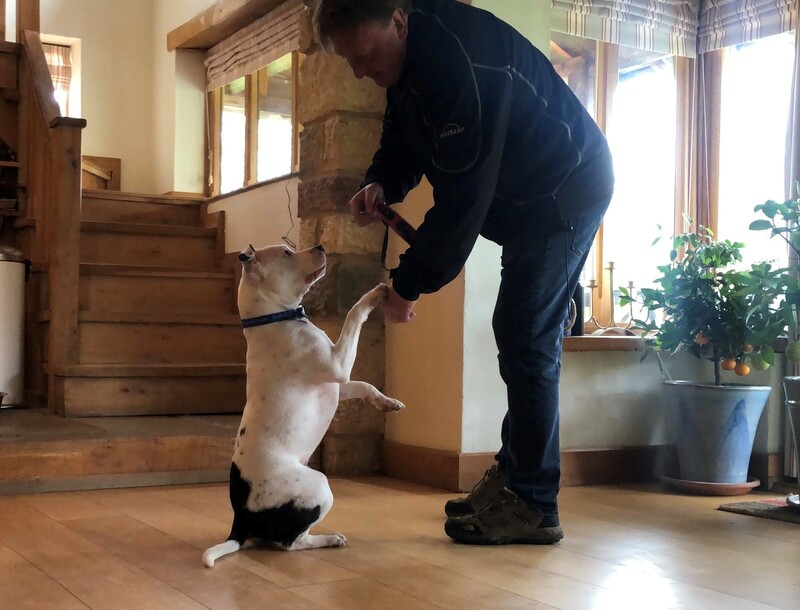 Mr Squire, who previously had a Staffie which died in November, said the pair had “bonded instantly”. Snoop has settled into his new lifestyle and dog bed and is now considered a “regular” at the local pub. Mr Squire said: “They are such a loving breed and so I started to look for another one. 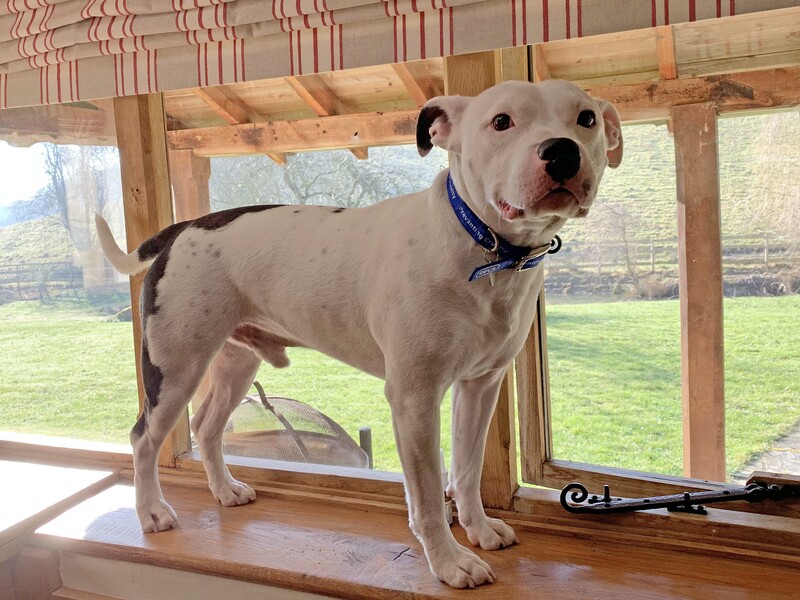 “I contacted the RSPCA and said that I was looking for a male Staffie, around one to two years old, and one evening I was watching the news when Snoop’s story came on. “What happened to him was shocking, and it was clear from the footage – in the way that he tried to get back into the car – that he was a loyal dog. After meeting at the charity’s Gonsal Farm Animal Centre in Shropshire, dog and potential owner “clicked”. Snoop had been suffering separation anxiety, but Mr Squire was a good fit because he works from home, the RSPCA added. He now has a large garden and surrounding fields to run around in. Mr Squire added: “He is a fantastic dog and he settled in straightaway. “As soon as he came into the house for the first time, he jumped on the sofa and it was as though he decided that was the space for him. “He loves to lie on the back of the sofa and if I put the fire on he will curl up in front of it. Snoop is still not happy getting into cars, perhaps as a result of his ordeal which saw him dumped in the Trentham area of Stoke, just before Christmas. Rachel Butler, from the RSPCA, said the dog’s story had put a “spotlight” on the daily reality of pet abandonment. She added: “He was dumped at Christmas, a time of year which we spend with our loved ones, so for something so unloving to happen to him was heartbreaking. “But the love and attention he is getting now from Laurence is wonderful. 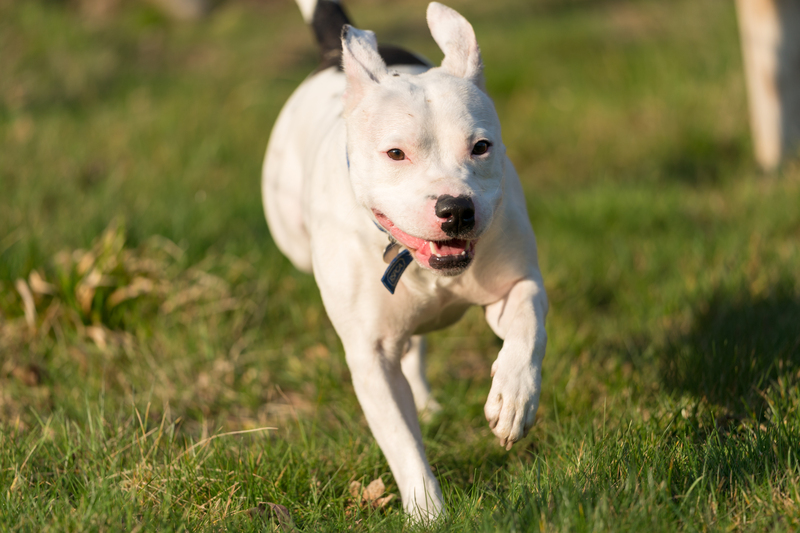 The charity said it had other Staffies available for re-homing on its website. Meanwhile, the inquiry into who left Snoop at the roadside is continuing.